The Doppler Effect | OK Listen! Formed in October 2011, The Doppler Effect is a project initiated to revive the lost glory of the glam/classic rock ages and bring it up to date with a twist, introducing elements of progressive rock and funk into the general sound. Within a few days of formation, The Doppler Effect began to climb heights, playing a vast variety of shows. The band has won and bagged prizes at an array of prestigious competitions, including best band, best bassist, and best drummer at MDI, Best Band, Best Bassist and Best Vocalist at Rocktaves, Bits Pilani, Best Band at Emergence festival, and Best band at TERI university, among many more. The band also came First at the CHANNEL [V] launchpad Prelims held in Delhi, making it to the finals and playing in Goa. 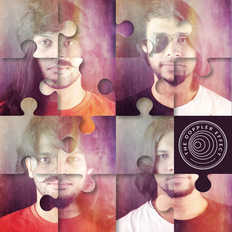 The Doppler Effect, known for its diversity and versatility, thrives on experimenting with sound and works on achieving a refreshing balance between both the technical and the musical aspects of their songs.